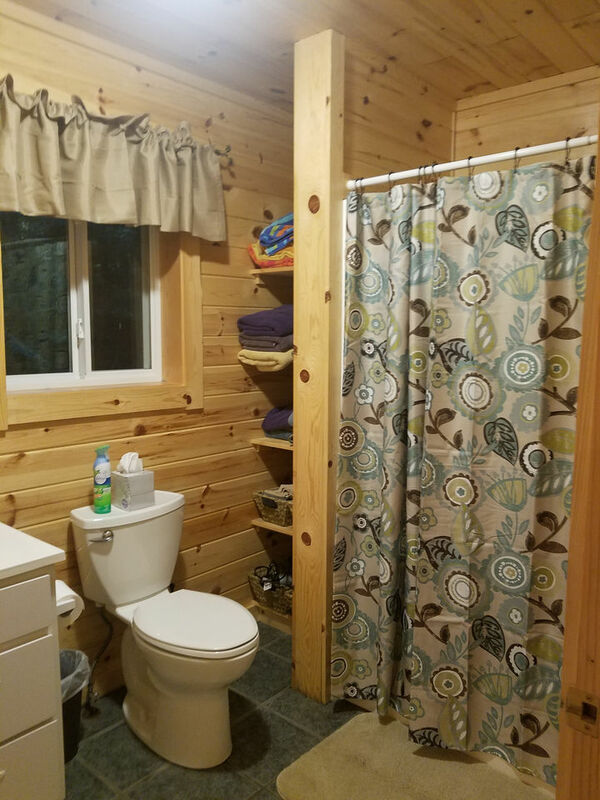 This beautiful lakefront cabin was built in 2003 and is located in the heart of the Hiawatha National Forest (10 miles South of M28). 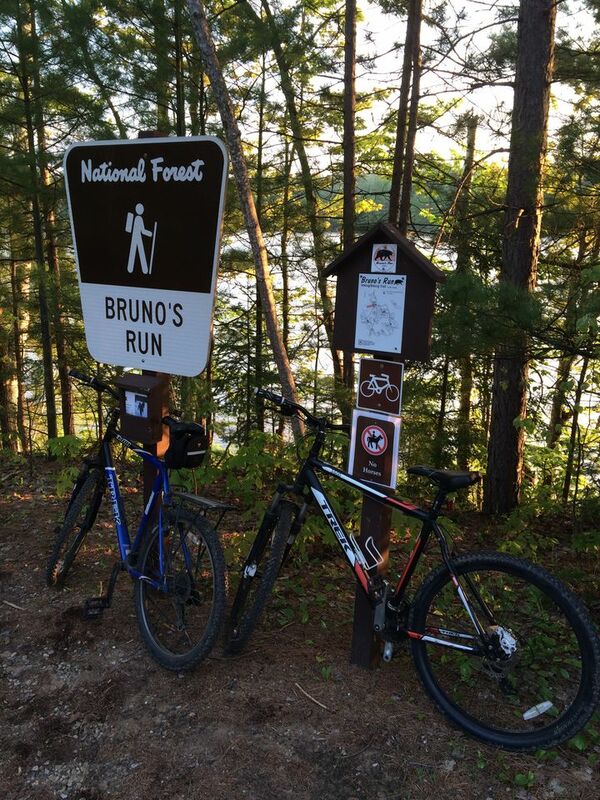 It is conveniently located next to Pete's Recreation Area and Bruno's Run for great mountain biking/hiking trail access. The World Famous Pictured Rocks National Lakeshore is only 13 miles from the cabin. 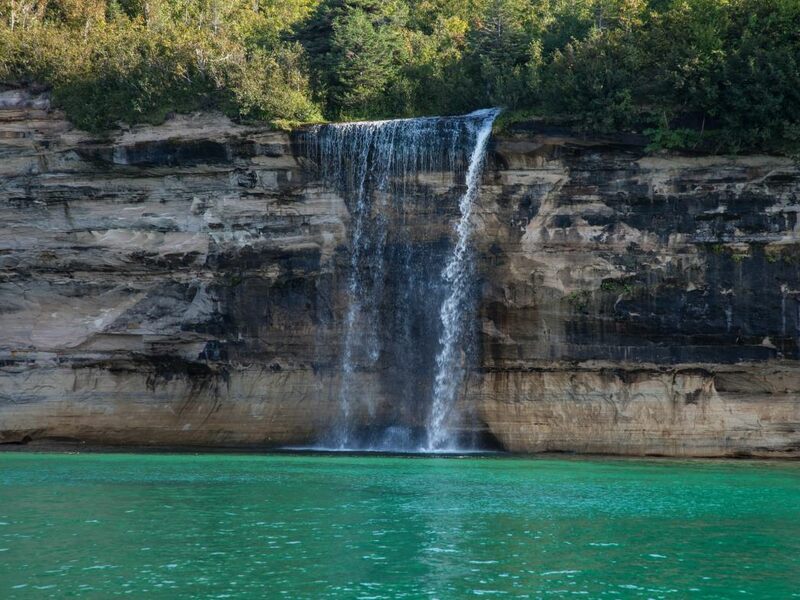 Fish, canoe or kayak the nearby lakes and the Indian River or spend a day or two admiring the incredible waterfalls in the Munising area. Bike the cliffs of the Grand Island National Recreation Area or have a relaxing day floating and swimming in the sandy bottomed Town Lake. 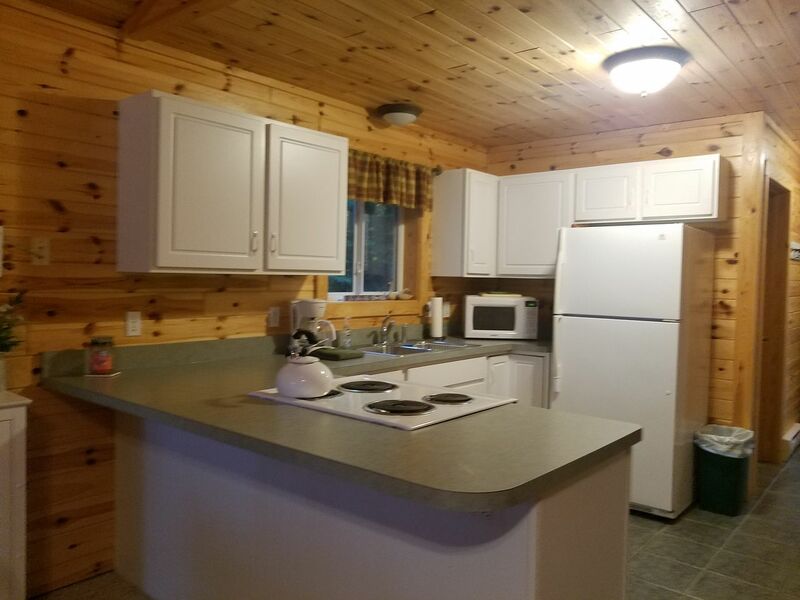 There is a deck off the cabin with a new gas grill ready for use as well as a deck at the lake shore with a canoe that is provided. Paddle across Town Lake to the general store for yummy ice cream cones and rentals of jet skis and power boats to be used on nearby lakes (Town Lake is a small, quiet 40 acre lake). 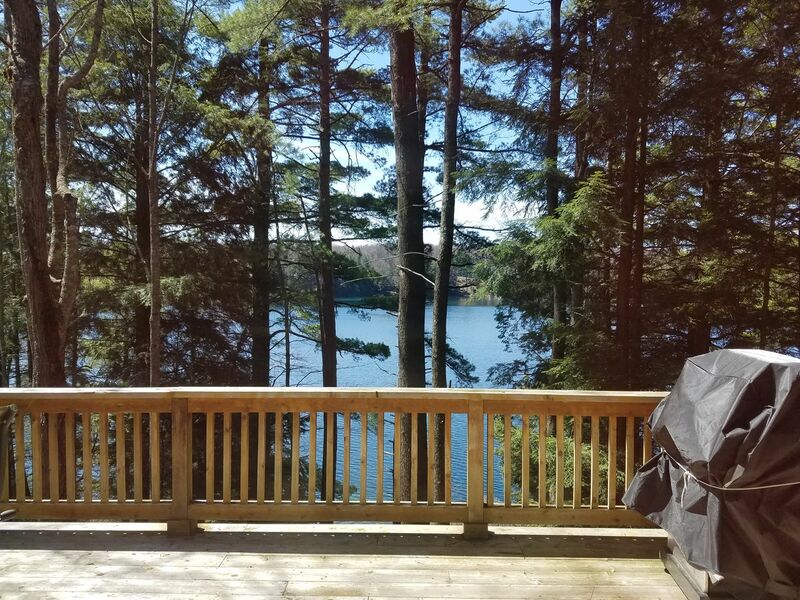 There is a 12 X 14 deck right at the edge of the lake. The rest of the lakeshore is natural. The entire lake is hard sand bottom that gets covered in pine needles and leaves each fall. The water quality is excellent which makes for great swimming and snorkeling. We keep the bottom of the lake in front of the deck raked free of most leaves so it is nice and sandy. 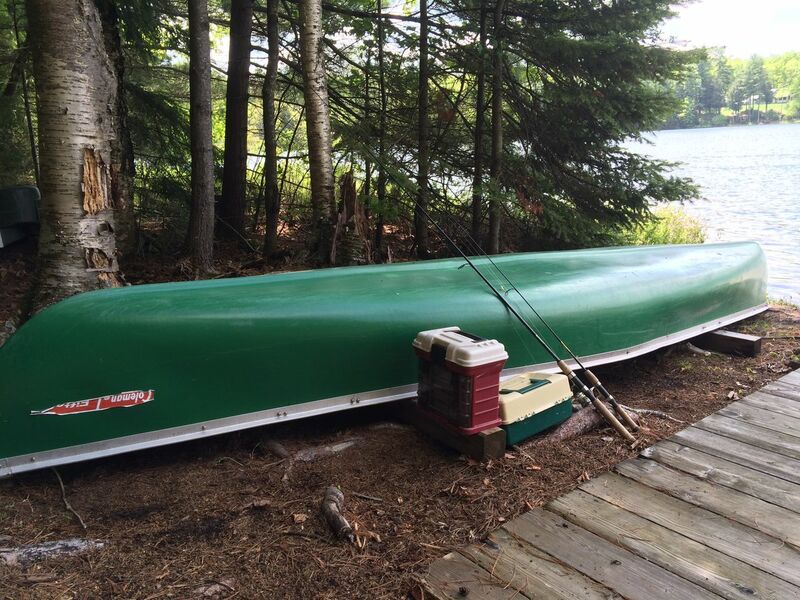 The lake in front of the deck gets deep pretty quickly, so small kids should be monitored closely. The first 10 feet from shore goes from 0ft to 2ft, the next 10 feet from shore goes from 2ft to 5 or 6ft. After that it goes to 12 feet pretty quickly. Swimming, float tubes, snorkeling and relaxing is great. As always, small kids who are without life jackets should be watched closely. If you want a more traditional shallow water beach with a big grassy lawn, it is less than a mile away at the Pete's Lake Day Use Area. 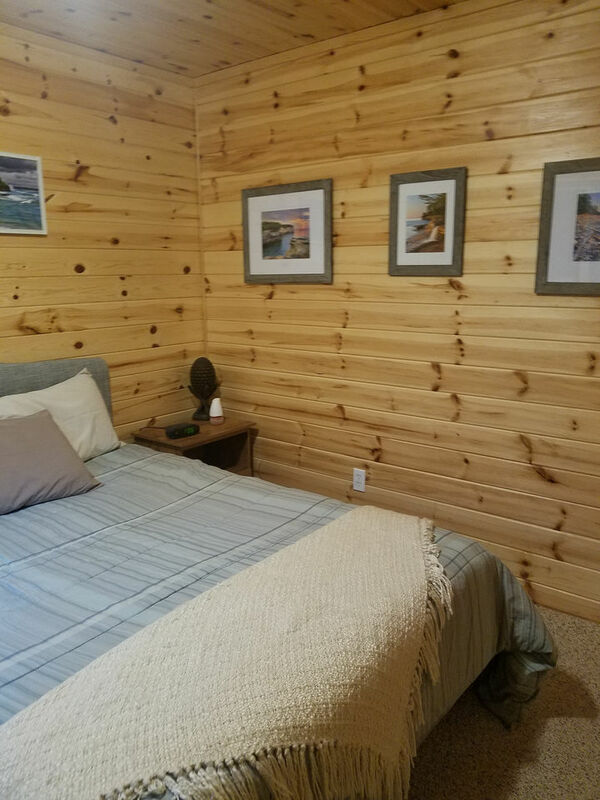 The cabin has two bedrooms, both with a queen size beds. 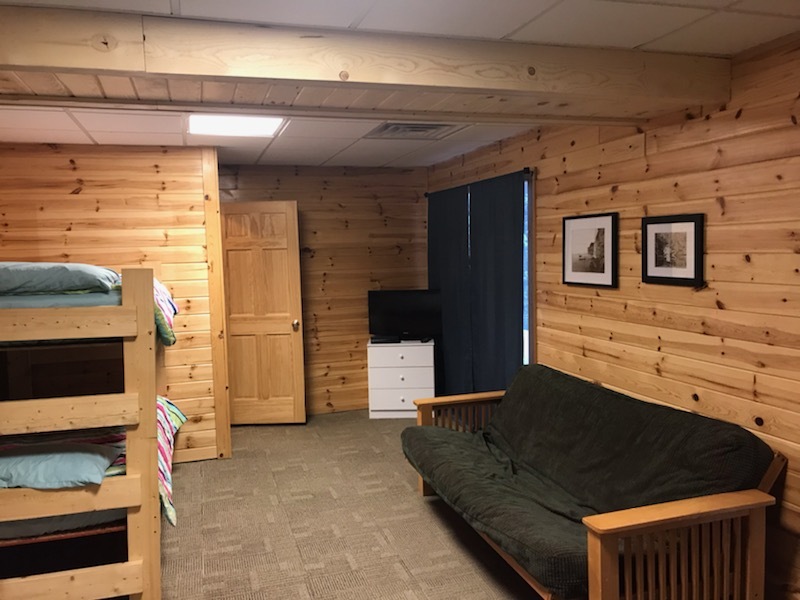 Additional sleeping is available in the lower level where there are two sets of bunk beds and a full-size futon. *High speed internet and local phone service are available. 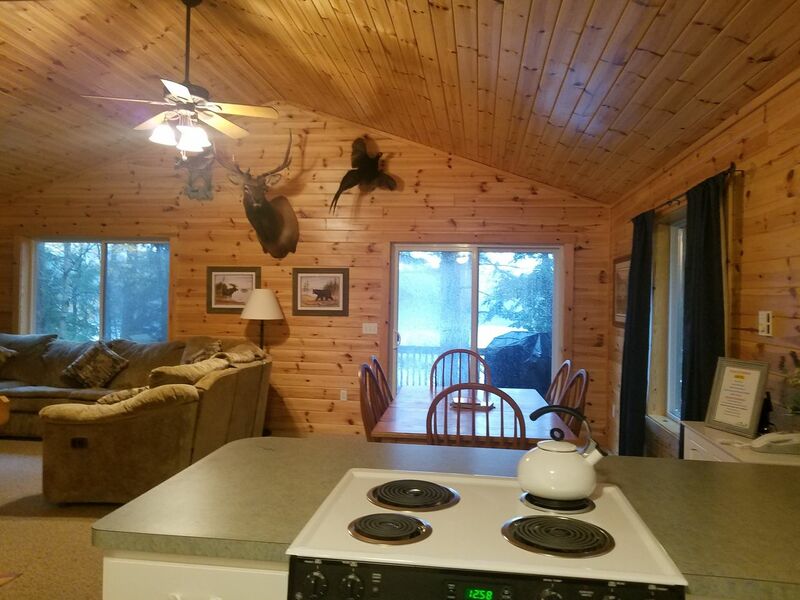 Full of beautiful views and amazing recreational activities, you will love your stay at the Town Lake Lodge! 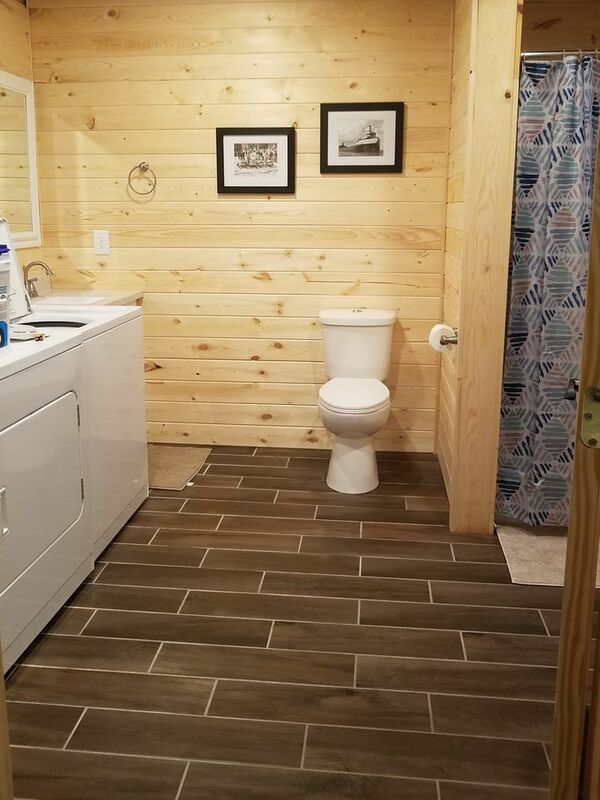 Bathroom- Sink, toilet, shower, and plenty of space for your personal belongings. Fans: There are two box fans and a ceiling fan. 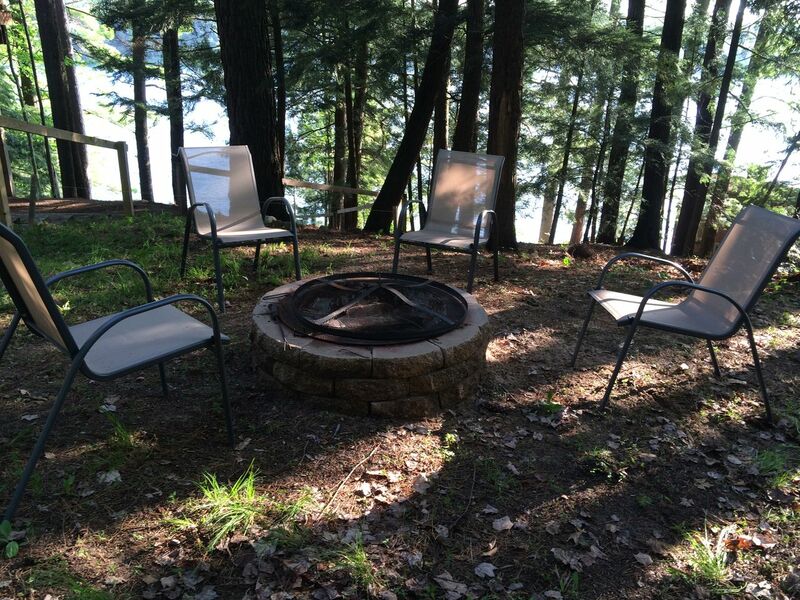 Fire pit: There is a fire-pit with 6 chairs for you to gather around the fire. 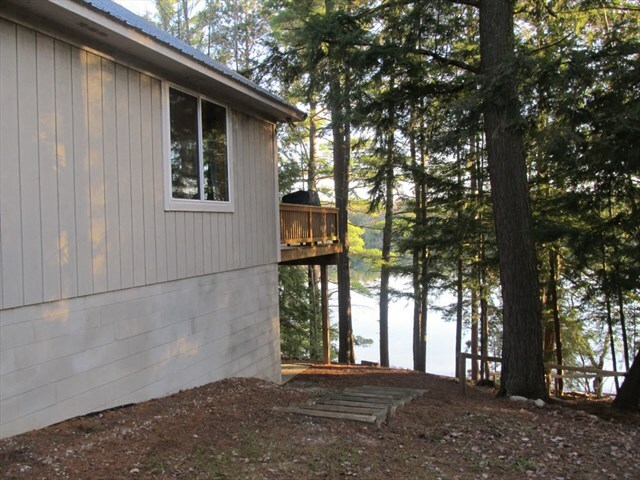 Lakeshore: There is a 12 x14 deck right at the edge of the lake. The rest of the shore is natural. Town Lake is a quiet lake. Landline (telephone): Yes, we do have landline for you to use. Pets: Sorry, due to allergies, we can not allow pets at the Town Lake Lodge. Wi-fi: Yes, there is wi-fi here! Also, a landline phone for your use. It's a great feature with the unreliable cell service in the Upper Peninsula. Pictured Rocks National Lakeshore: Only 15 miles away on Lake Superior in Munising. Highly recommend this place! 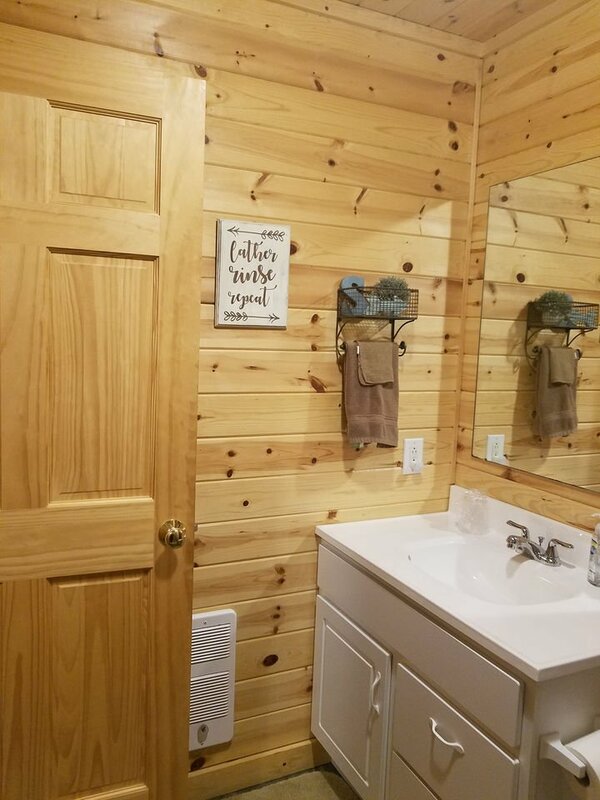 Clean and cozy cabin. Great location. Relaxation, adventure, comfort all rolled into one. Could not get enough of the views from the porch. Anastazja, we are so happy that Town Lake Lodge pleased you! The views are pretty spectacular. We hope to see you again. 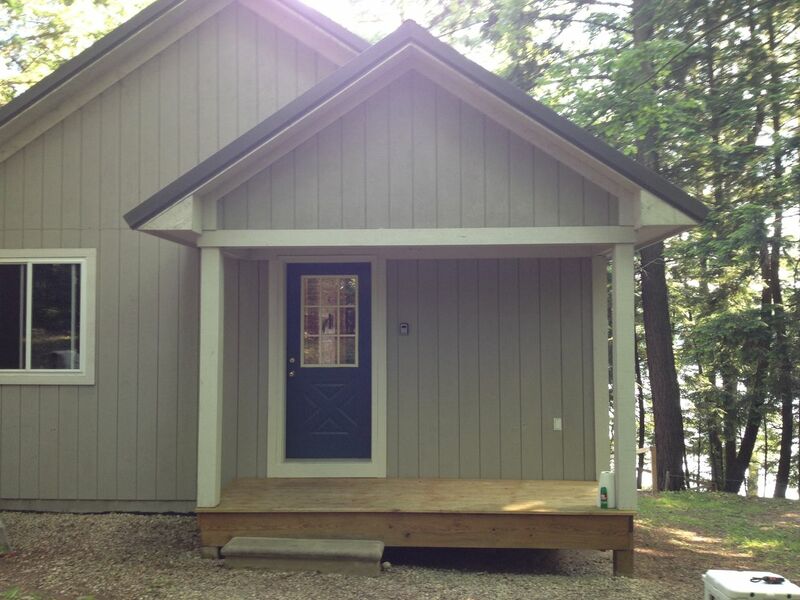 Dave, we love that you enjoyed Town Lake Lodge-Pictured Rocks. It's a great property near so many of teh UP fabulous sites. We hope to see you again. Beautiful setting, house very clean and comfortable. Well appointed to make for a wonderful visit. Great instructions for arrival/departure. Would have appreciated a shade on the bathroom window. 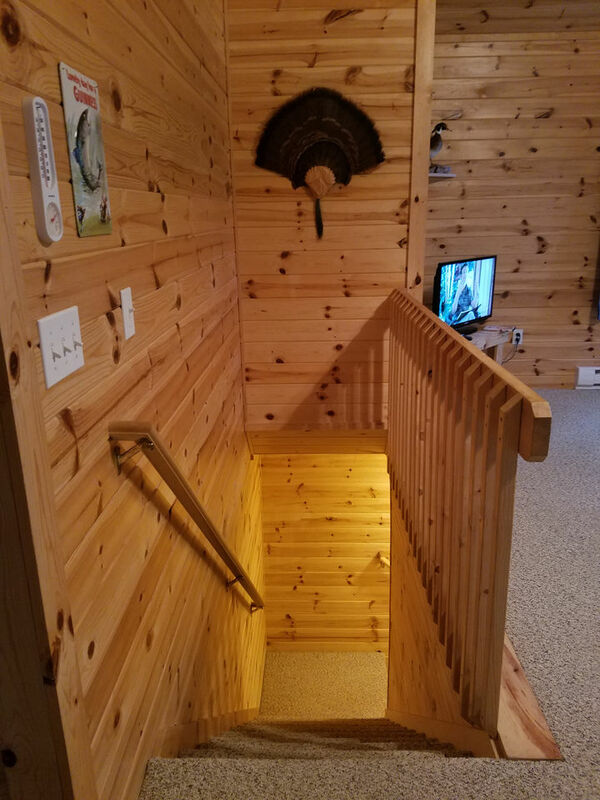 Also, had difficulty getting the dead-bolt lock to line up on the downstairs door. The lake was perfect!!! Enjoyed swimming, paddling and watching the fish through crystal clear water. 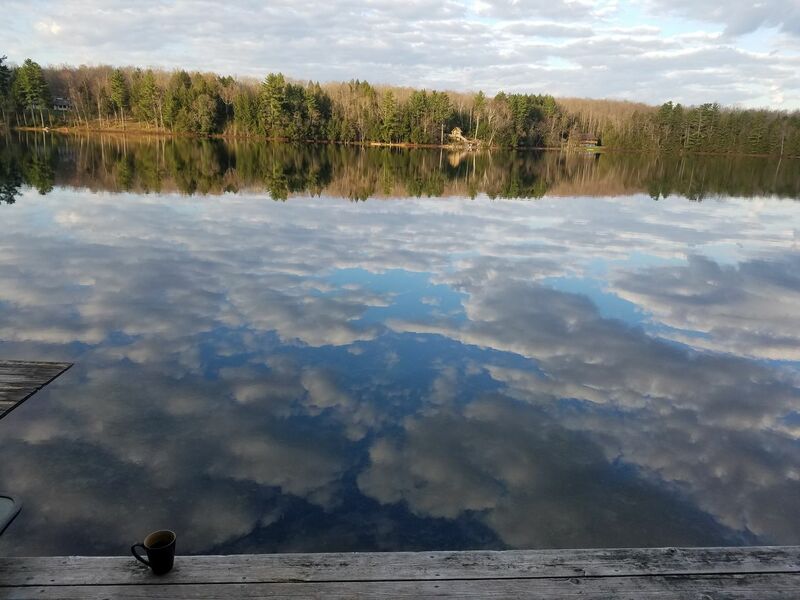 Coffee on the dock every morning was the best. :-) Thanks for a terrific holiday. 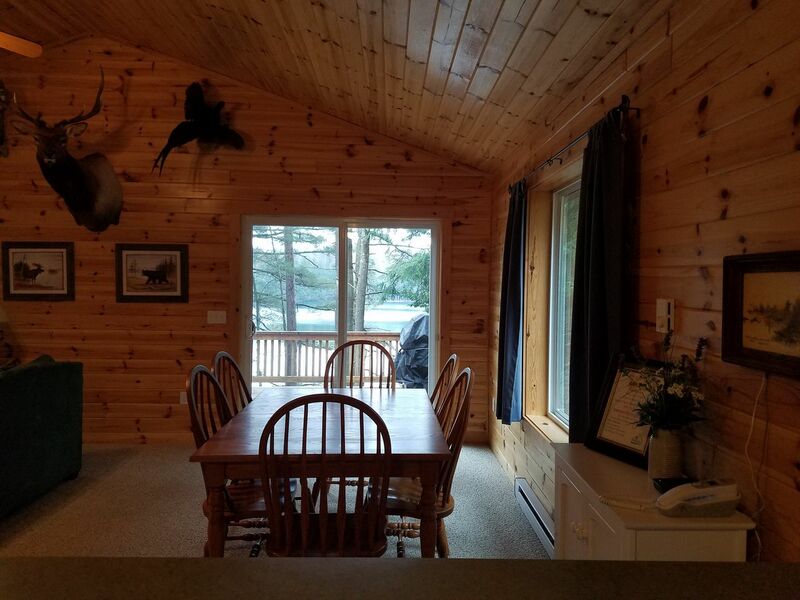 Joan, we are so happy to hear that you enjoyed Town Lake Lodge as much as we do Looking through the trees over the lake is a pretty serene experience. 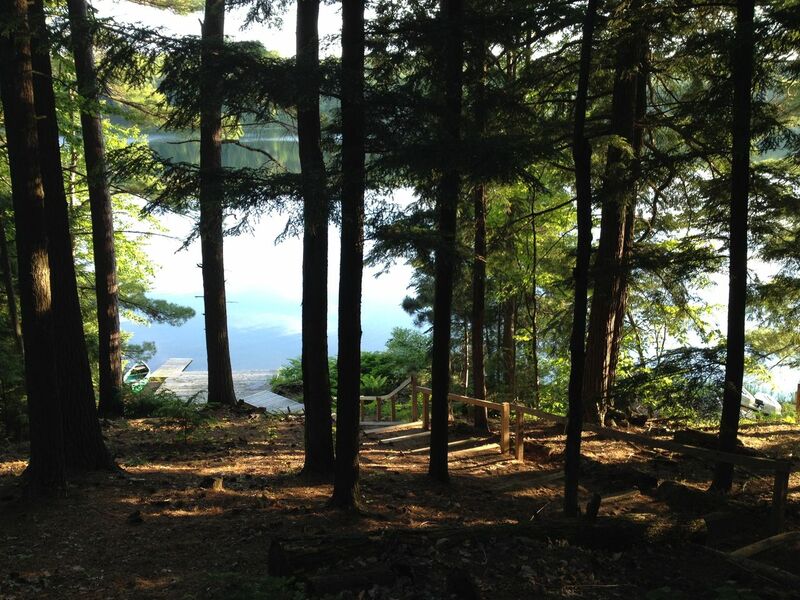 Being in the heart of the Hiawatha National Forest is a bit of heaven! 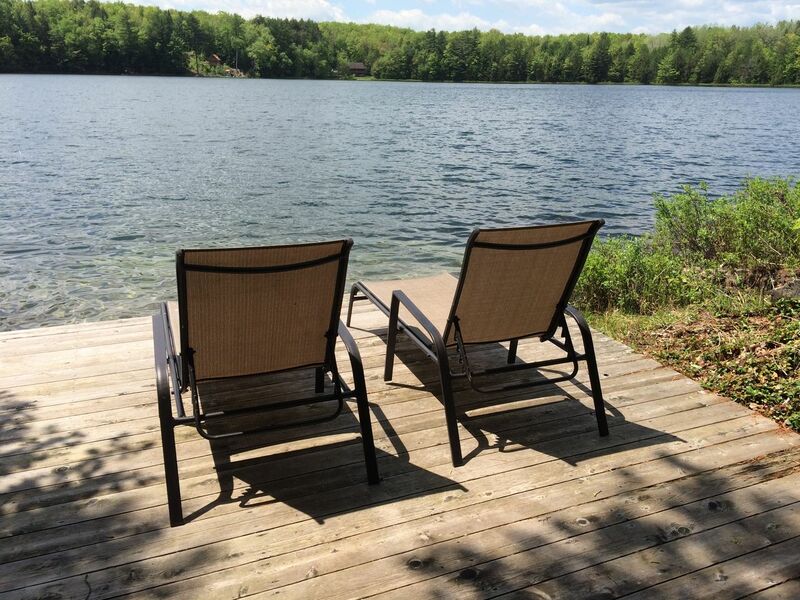 Elaine, we are so happy that you all enjoyed staying at Town Lake Lodge-Pictured Rocks. That area is so incredible with so many great places to hike. We hope to see you again! You know you've had a great vacation when you don't want to leave! 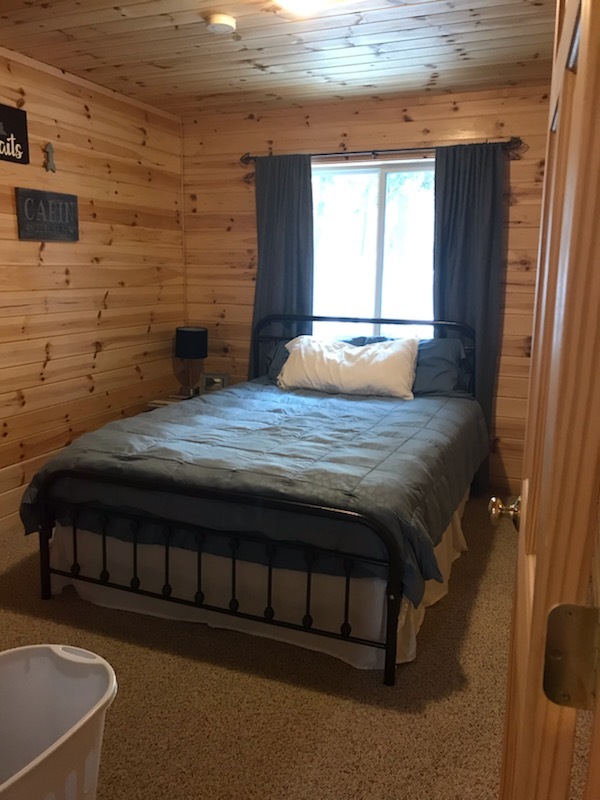 We are so happy that Town Lake Lodge was the place that you chose to vacation, and that it fit your needs so well. We're hoping that you come back! This was truly a great place to stay. Quiet but with all the amenities we needed to keep ourselves entertained. Close to Munising and Picture Rocks. We will definitely be coming back here. Marike, we would love to have you come back! 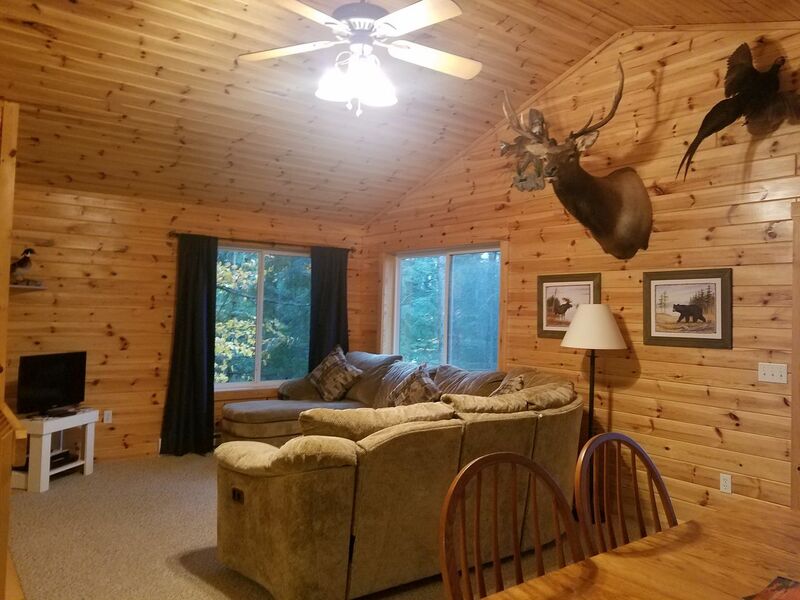 Town Lake Lodge's proximity to Pictured Rocks is such a great bonus for this property. Loved and did not want to leave! 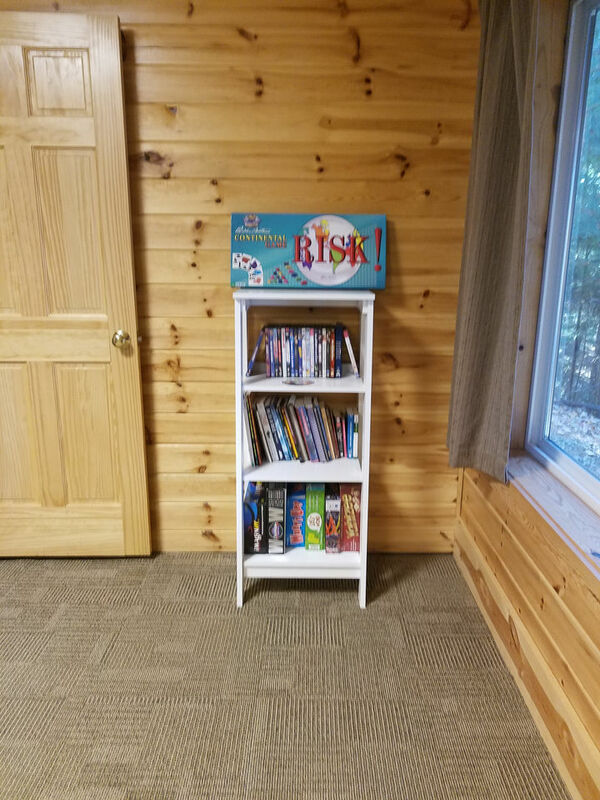 My husband and I stayed with our three small kids and loved it! It was so peaceful and close to so many beautiful places. Would definitely stay again! 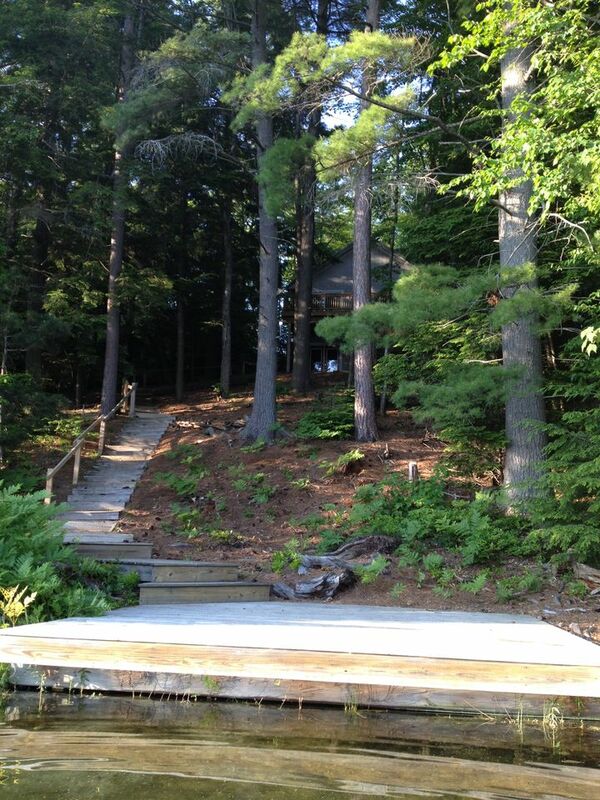 Town Lake Lodge-Pictured Rocks is a pretty special place, and we are so happy that you enjoyed your stay, Kendra. Please do come back again. Kendra, we'd certainly love to have you come back! There is nothing better than being on the water during the summer in Michigan. It's a bit of heaven. This cabin was everything we’d hoped it would be. 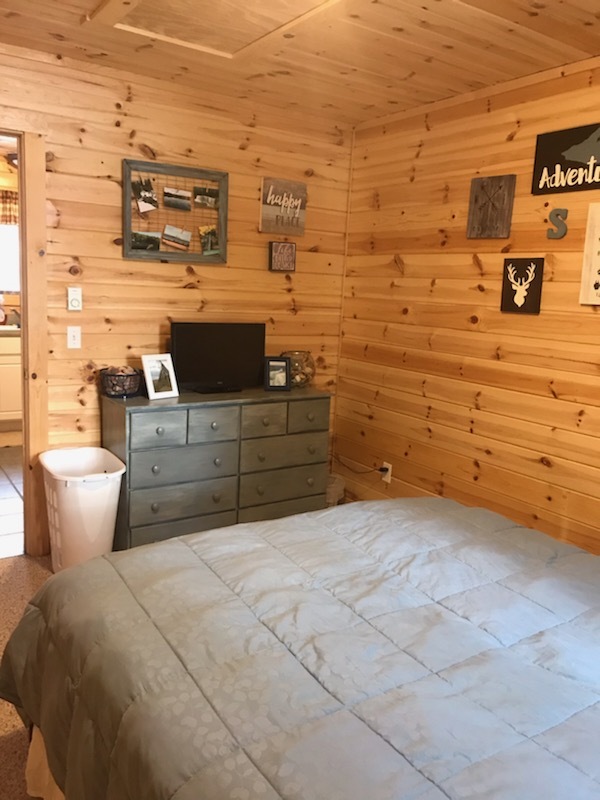 Beautifully located along the quiet Town Lake it was the restful get away we needed. We plan on visiting the Pictures Rocks area frequently and this is where we want to stay every time. We are so glad that you enjoyed your stay at Town Lake Lodge, and that it was everything that you hoped for and needed. 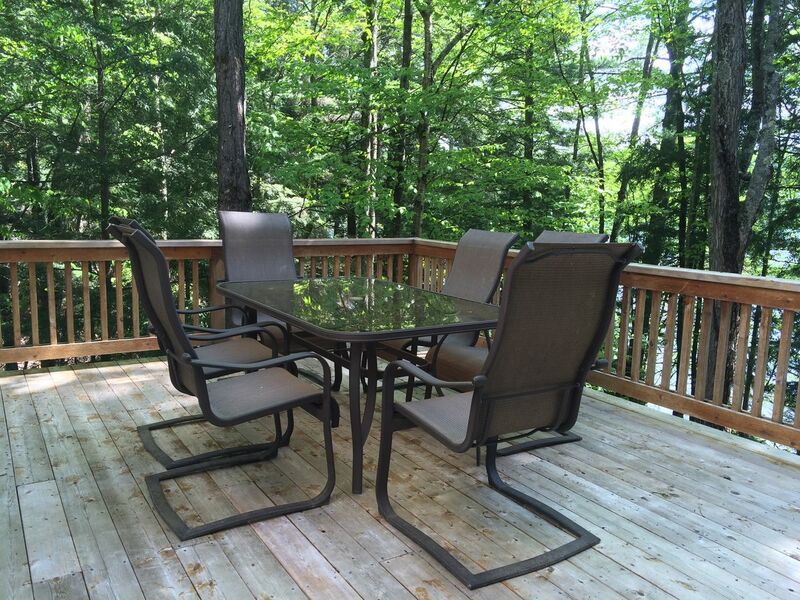 Sitting out on that deck is the perfect way to start and end a day. Coffee and cocktails - perfection! We very much look forward to you coming back and remember to let us know that you are returning guests so that we can give you a 10% discount. A true home away from home. 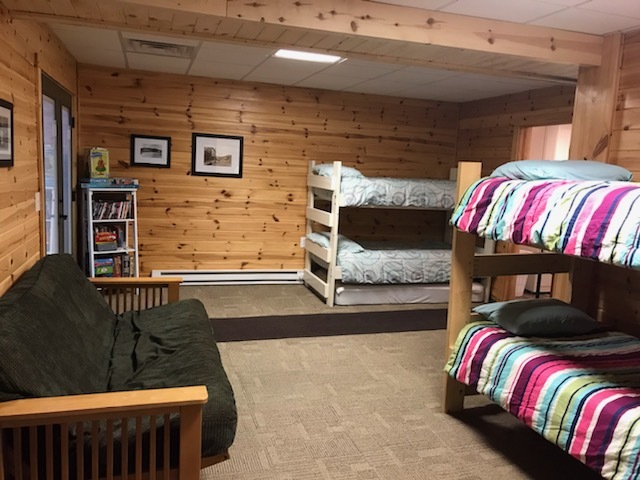 The cabin situated in the woods provides a true sanctuary from the world and is a welcoming site after long days of hiking the various trails at Pictured Rocks. Watching the sun set from the dock was a daily ritual and on a clear night the stars were incredible. On the one rainy day it was comforting to just hang out and read, watch the rain and drink hot tea. 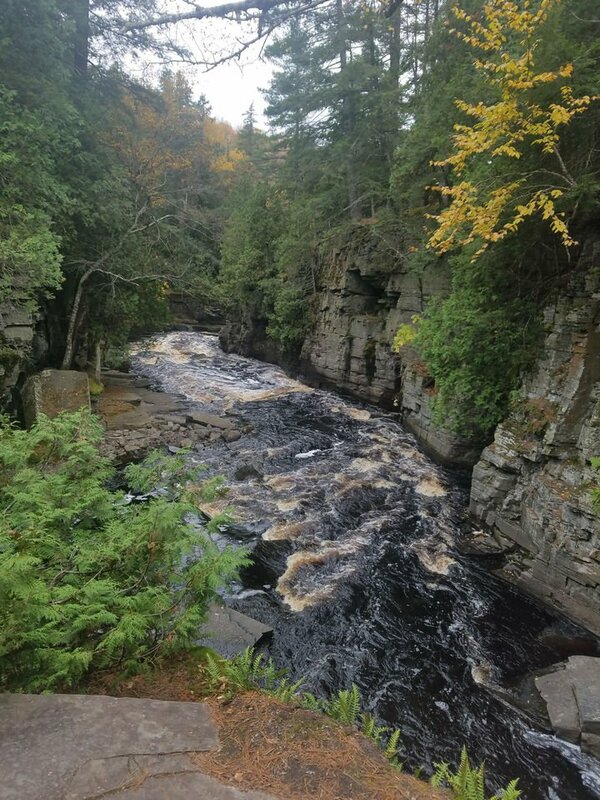 Having the Hiawatha National Forest trail at Bruno's Run literally a 3 min drive was great when the rain stopped & we wanted a short hike & fresh air. 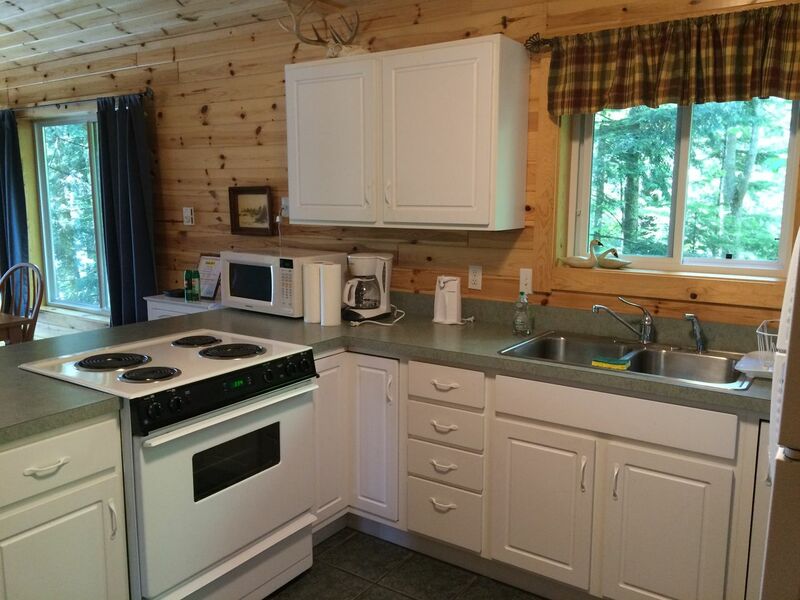 The cabin is extremely clean & well stocked with everything you could possibly need. Joan from the management company was a pleasure to deal with. We will definitely be back. Thank you to the owners for availing this special place for us to enjoy!